Join us for our WISE Start with Sports: Mothers and Daughters Sports Day! Don’t miss it and sign up to attend today. 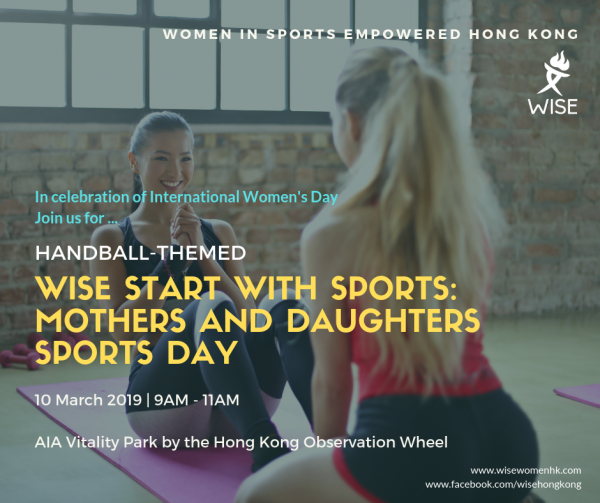 WISE Start with Sports is our flagship Mothers and Daughters Sports Day where we invite Hong Kong-based mothers and daughters to join us for some sporting fun. It’s a great way to foster stronger mothers and daughters bonds through sports. Check out our previous events. 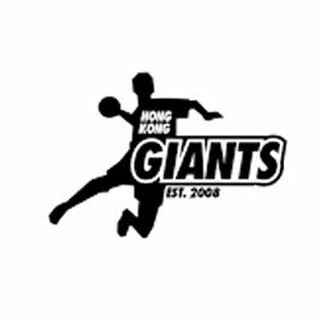 In this session on 10 March 2019, we have invited coaches from HK Giants to coach handball! Handball is a team sport where two teams of seven players each use their hands to pass a ball among themselves with the aim of throwing it into the goal of the other team. Previous sports we have taught: Dodgeball, Netball, Football (soccer), American flag football, Self-Defense, Field Hockey, Tag Rugby, Ultimate Frisbee. Thank you to AIA Vitality Park at Hong Kong Observation Wheel for providing us with the venue.